The U.S. government's effort to embrace cloud computing throughout most departments has been a slow but steady process. Agency leaders have been understandably cautious when it comes to this technology, ensuring that cybersecurity and business process efficiency remain high-level focuses throughout cloud integration campaigns. Yet now that cloud computing in the federal government is becoming more of a standard and less of a trial, some of these integration efforts are picking up speed. The most significant recent example of this progress can be found in NASA, which is currently in the process of a major cloud migration effort, as Computerworld reported. The news source reported that NASA has already succeeded at migrating 65 of its software applications into the cloud during a period of only 22 weeks. This included the NASA.gov website and its engineering network. More than 45 more applications followed since this initial surge and more are scheduled for migration in the near future. 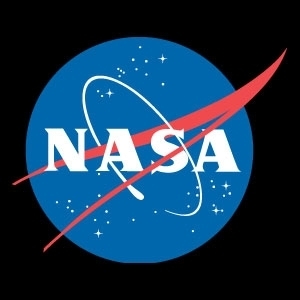 Roopangi Kadakia, Web services executive for NASA, told the news source that key to the agency's success has been an appreciation for the ways cloud computing differs from traditional platforms. "The important thing this is we've learned a lot in the last 18 months," said Kadakia, the source reported. "Going through that, we were able to see how you optimize legacy applications. It can't be business as usual. There's a whole set of different ways to think about the cloud." Raj Ananthanpillai, chairman, CEO and president of the firm that assisted NASA's cloud integration efforts, emphasized that a big part of the challenge in this case was the simple fact that no downtime was acceptable. "We were changing the tires in a moving car. You cannot put NASA and all its infrastructure on hold. You can't say 'None of this will be available for a while,'" Ananthanpillai explained. While this issue is not unique to the public sector, is is more pronounced among government agencies than most private businesses. Government bodies looking to move to the cloud, either for compliance purposes or simply to take advantage of the technology's benefits, must develop carefully considered integration plans that account for highly sensitive information often involved in such migrations. That is why it is so important for NASA and other federal agencies to work closely with third-party consultants and service providers as they take steps to utilize cloud solutions. The expertise these organizations provide can minimize the risk that there will be unforeseen complications, and can help to quicken the migration process without increased risk. Once the cloud migration is complete, or at least largely finished, NASA and other government agencies can enjoy a wide range of benefits. For example, Kadakia emphasized the collaborative advantages of a shared cloud resource for NASA employees. "I want to give people the ability to collaborate. I want to give them a repository on the cloud where we can be doing code sharing and code reuse within NASA. And we're looking at disaster recovery as a service," she said, according to news source. With greater access to federal data, employees across the government can become more productive and efficient.